How to draw Juni from Street Fighter. 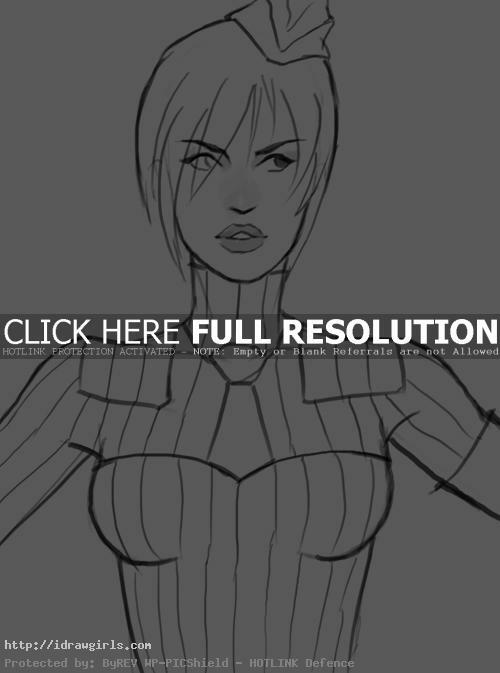 In this tutorial, you will learn to draw Juni with step by step drawing instruction. The step by step images provide useful information and insight of general artistic process for comics drawing. It can help gain knowledge of drawing. You will learn to draw a Juni’s face and body along with her unique hair style and costume. Juni is one of the female characters in Street Fighter series. I will also show you how to draw her costume over her figure. It is useful to know anatomy even though more often than not you will have to design outfit over the body. It is still very important to make sure that the visible anatomy is as accurate as possible. The best way to learn anatomy to attend to life drawing session. This drawing took me about thirty minutes to draw just for tutorial purpose, not a finished refine drawing. In general, I usually start drawing the character with gesture to get the basic structure of a character. It is very important to get correct shape, proportion, and accuracy for initial sketch, before you start drawing with solid lines. Juni (ユーニ) is a video game character from the Street Fighter fighting game series. She made her first appearance in Street Fighter Alpha 3, where she was a brainwashed female assassin belonging to Bison’s Elite Guard or “The Dolls.” Her name is German for June, and her partner is Juli. Juni and Juli are a pair of sub-bosses whom the player face prior to the final battle against M. Bison. The player faces Juni and Juli at the same time. Here is a final drawing of Juni from Street Fighter. 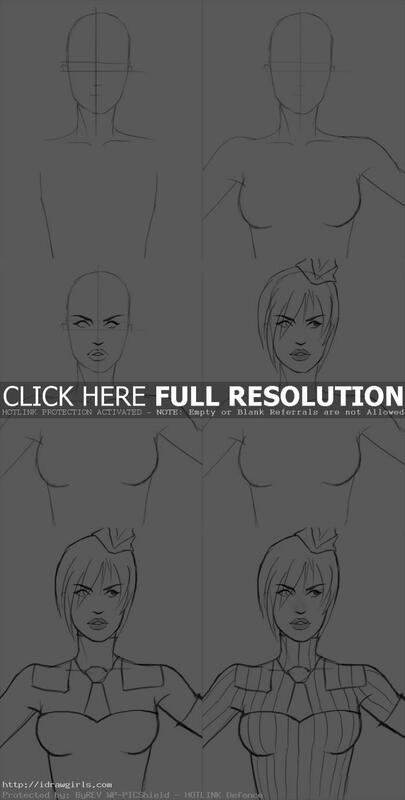 Below are step by step how to draw Juni. Step one, I drew head shape with grid lines for facial structure and rough sketch of her upper body. Step two, I refine the previous shapes then added two arms. Step three, I then drew her face along the established grid lines. Step four, I drew her hair style. Step five, I begin to sketched out her costume design. Step six, I then finished up the rest of the drawing with fine darker solid lines.